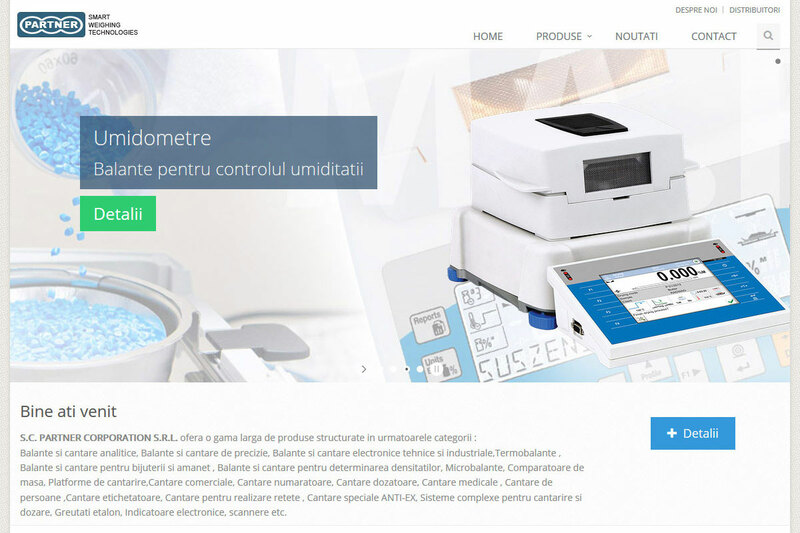 e-Commerce web site for a Romanian retail company specialized in high-precision weighing instruments. 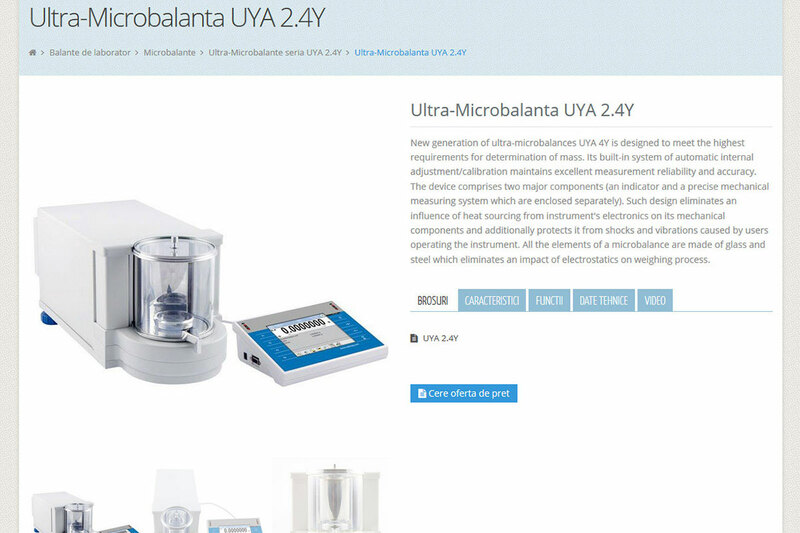 Custom made online shop built with friendly user interface for quick conversion. Complex custom made Content Management System with responsive layout. 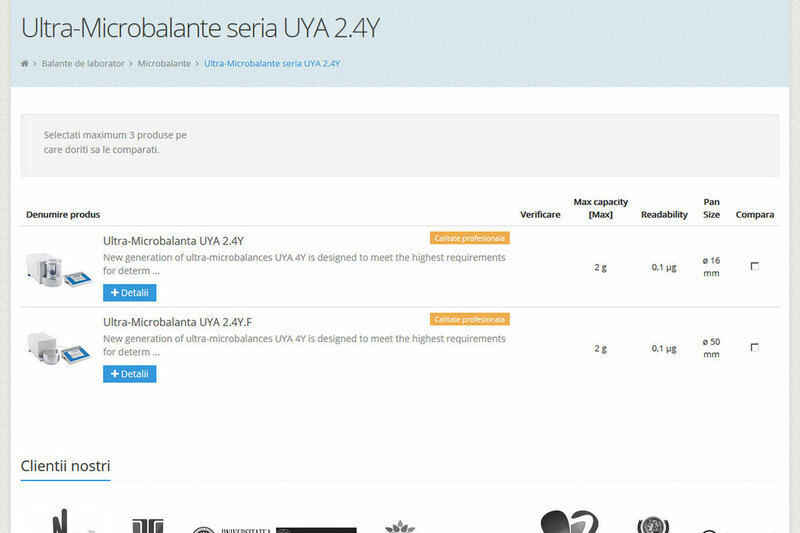 The web site features an advanced product filter and smart search engine module with suggestion icons. The CMS allows fully search engine optimization for each page with friendly HTML links, social widget integrated. The code is compressed and fully optimized for fast loading. 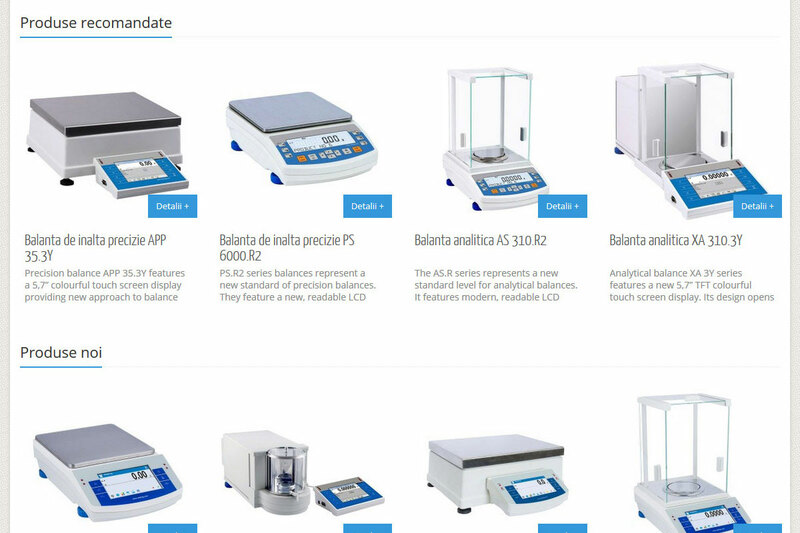 The site also has online order and contact forms, unlimited number of categories, sub-categories and products. Optimized coding and images for fast loading.